The Express took men and rode them hard across the West. That adventuring spirit belonged to men full of life, ready for whatever met them on the trail, everything, except for love. Ellis Cooper found himself in with a bad crowd and when the going got tough, the others left… left him to rot in jail. Finally released from prison, his uncle found him a job with the Pony Express. He’s determined to live on the straight and narrow. It wasn’t just to avoid getting on the wrong side of the new marshal, Thomas Halston. 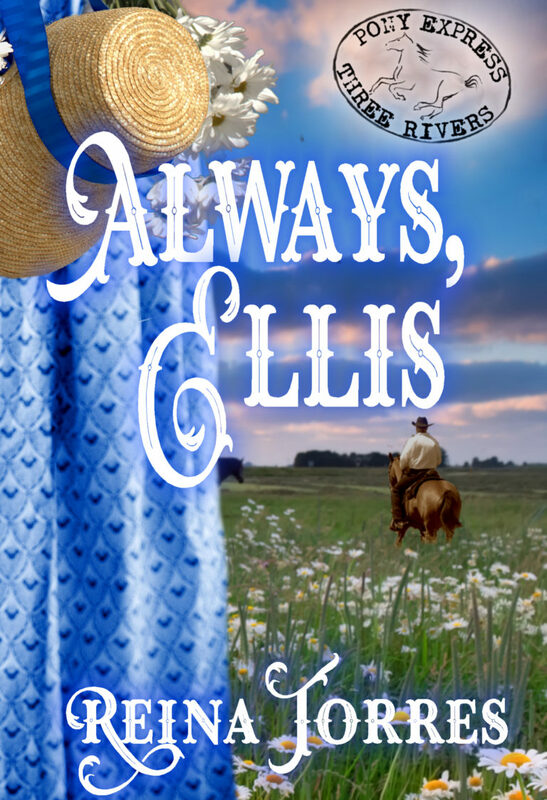 Ellis wanted to do the right thing because the Marshal’s pretty daughter makes him wish he could go back and change all of his bad decisions and make them right. But how is a lawman going to trust his only daughter to a man who spent time behind bars? Virginia Halston wonders if her father’s new home will become one for her as well. That includes some rather disconcerting moments with the new express rider. 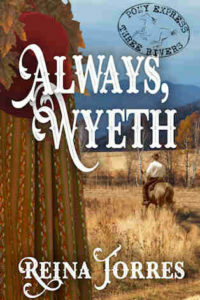 Everyone seems to warn her away from Ellis, but there’s something in his eyes that only make her want to get closer to him. Is it so wrong for her to give him a little bit of her heart when he’s trying so hard to do the right thing for once in his life? While it seems like everyone is trying to keep Ellis and Virginia apart, they’re only getting closer. As some of his old acquaintances try to draw him back into the darkness, Ellis has to make a decision: stand up against them and lose Virginia, or lose his soul forever? 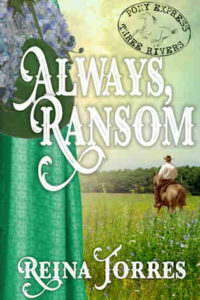 Starting with the Spring of 1860 when the Pony Express began their service of mail delivery between St. Joseph, Missouri and Sacramento, California, each of the Three Rivers Express books will take on a new season and a different rider.